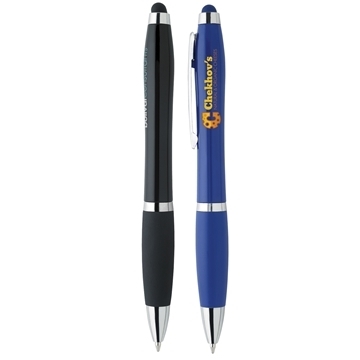 Twist Action Retractable pen with built in soft touch stylus. Our clients really like the quality. The service has been absolutely outstanding to say the least. Veronica really worked with me to get the graphic look I wanted easily and on time. I love how they don't feel cheap. I would highly recommend! Very affordable! Best of all, the customer service was great.